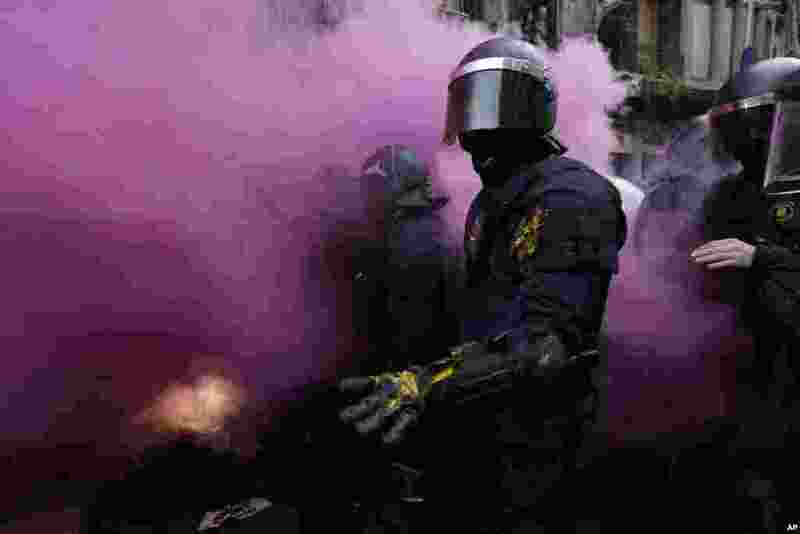 1 Catalan Mossos d'Esquadra regional police officers clashe with pro-independence supporters trying to reach the Spanish government office in Barcelona, Spain. 2 Indian artists dress up as the Hindu deity "Hanuman" -- the monkey God in Hindu mythology -- to mark the Rama Navami festival in Bangalore. 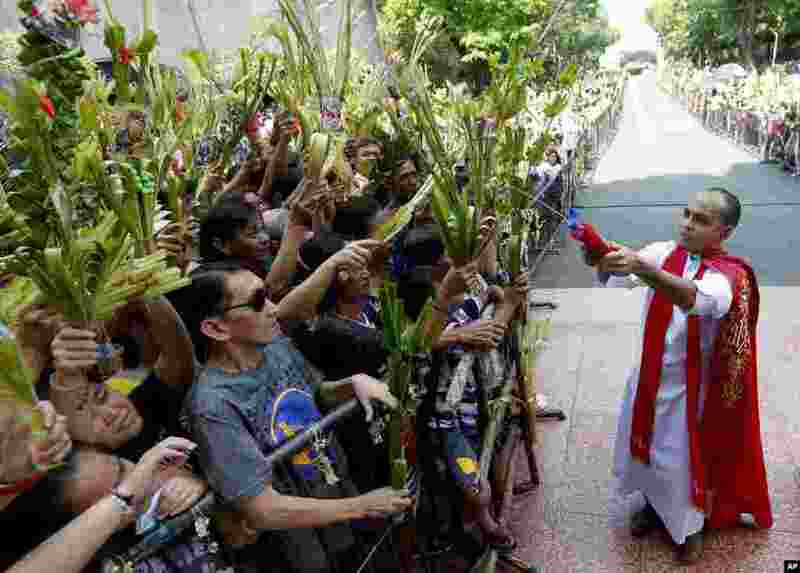 3 Devotees wave palm fronds as they are blessed by a Roman Catholic priest with holy water in observance of Palm Sunday at Baclaran church in suburban Paranaque city, southeast of Manila, Philippines. 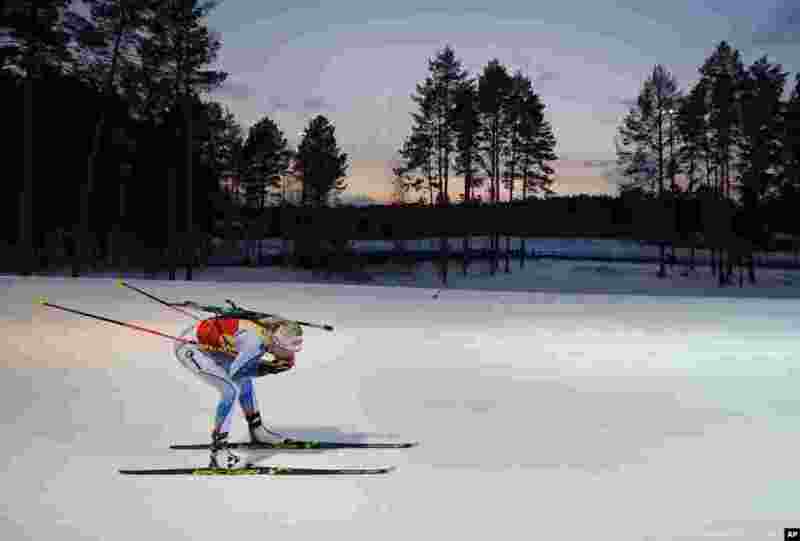 4 Finland's Kaisa Makarainen competes during the Biathlon women's World Cup 12.5km mass start event, in Tyumen, Russia.